Abstract: In 1996, MacKay and Neal rediscovered capacity-approaching low-density parity-check (LDPC) codes, whose concept was originally developed by Gallager in 1963. Because of its excellent performance, LDPC codes have been applied to various communications systems including coherent fiber-optic communications. To design high-performance irregular LDPC codes, extrinsic information transfer (EXIT) chart or density evolution (DE) has been widely used. Since optical communications call for high-speed operations to accommodate tens/hundreds of Gb/s or even beyond Tb/s, excellent power efficiency in addition to high performance has been of great importance under a practical limitation in decoding iteration, computational complexity, memory size, latency, and arithmetic precision. To cope with those hardware constraints, a number of different LDPC codes and decoding algorithms have been proposed; e.g., quasi cyclic (QC) protograph-based LDPC, finite geometry (FG) LDPC, generalized LDPC, nonbinary (NB) LDPC, spatially-coupled (SC) LDPC, delta-min decoding, layered decoding, linear programming (LP) decoding, and windowed decoding (WD). In this seminar, we introduce an overview of the recent advancement of LDPC codes suited for high-speed optical communications. In particular, we focus on a novel Pareto-efficient design method, achieving the best trade-off between coding gain and power efficiency. Biography: Toshiaki Koike-Akino received the B.S. degree in electrical and electronics engineering, M.S. and Ph.D. degrees in communications and computer engineering from Kyoto University, Kyoto, Japan, in 2002, 2003, and 2005, respectively. During 2006–2010, he was a Postdoctoral Researcher with Harvard University, and since 2010, he has been with Mitsubishi Electric Research Laboratories, Cambridge, MA, USA. His research interests include digital signal processing for data communications and sensing. 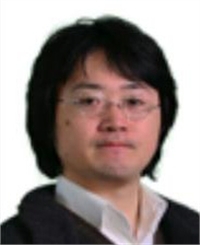 He received the IEEE GLOBECOM’08 Best Paper Award and the IEEE GLOBECOM’09 Best Paper Award.